We are in it. Can you feel it? This is the thick of the holidays people. Speaking of thick…how you feeling this week? Thanksgiving is easily my favorite holiday, but Thanksgiving + 3 days leftovers usually results in my “thickest” Monday feelings of the year. So let’s get to work! 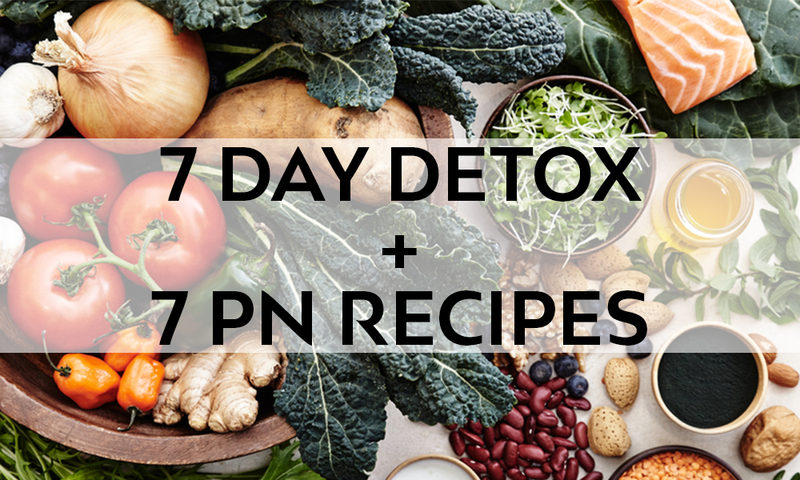 We want to enter the month of cocktail dresses feeling our finest, so the PN crew is ready to clean-it-up with a 7 day detox challenge + 7 all new PN recipes. You ready to hop on board? What’s it entail? A simple to follow protocol that you can tweak to meet your needs – because remember, what works for one doesn’t work for everyone. With that said, we think this plant centered, clean eating, 7 day plan can make you feel bright eyed and light in your loafers. 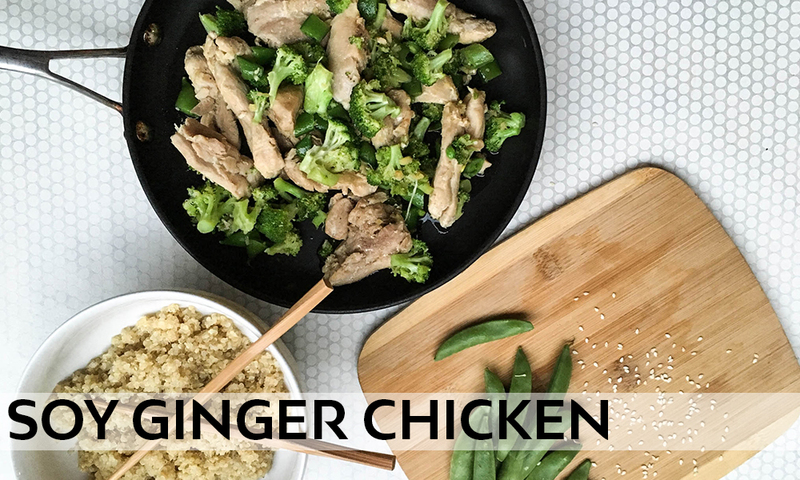 So kicking off today, tomorrow or whenever you’re ready – dive into 7 days following the protocol below, and using the 7 recipes in this blog as inspiration. Enjoy whole grains but only once daily. So if you’re having an oat bowl for breakfast, go grain-free for the rest of the day, or if you have a brown rice at night, avoid grains during the day. 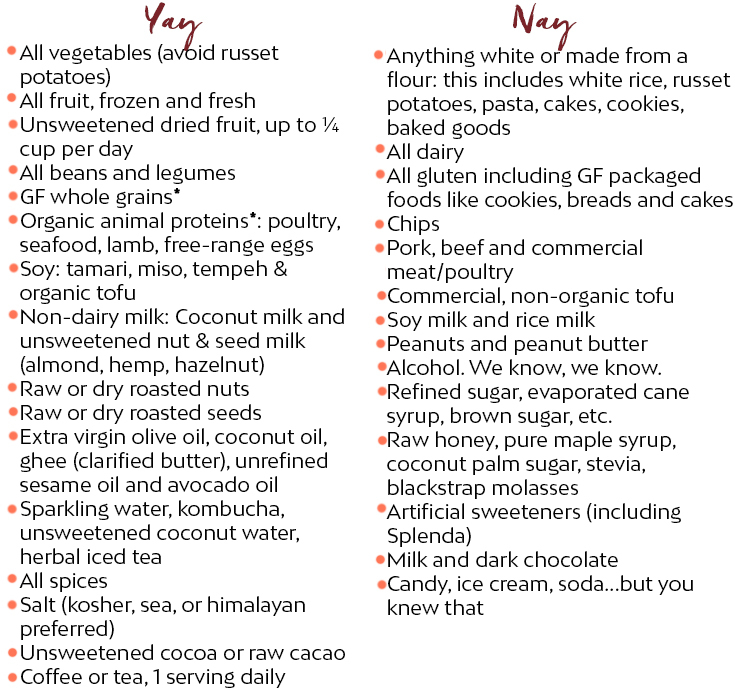 Enjoy seafood or lean poultry/meat, but at only one meal per day. Get protein during the rest of the day from peas, whole grains, legumes, fermented soy (tempeh),dark leafy greens, nuts, seeds and eggs. Where’s the maple syrup, honey, natural sweeteners? The real challenge: we’re encouraging you to go totally sugar-free. So even though we think natural sweeteners are a-ok in real life, this is a detox, so push yourself to pass on honey, maple syrup, etc. Fresh fruit and unsweetened dried fruit (in moderation) is ok! Focus one meal a day on a vegan soup. 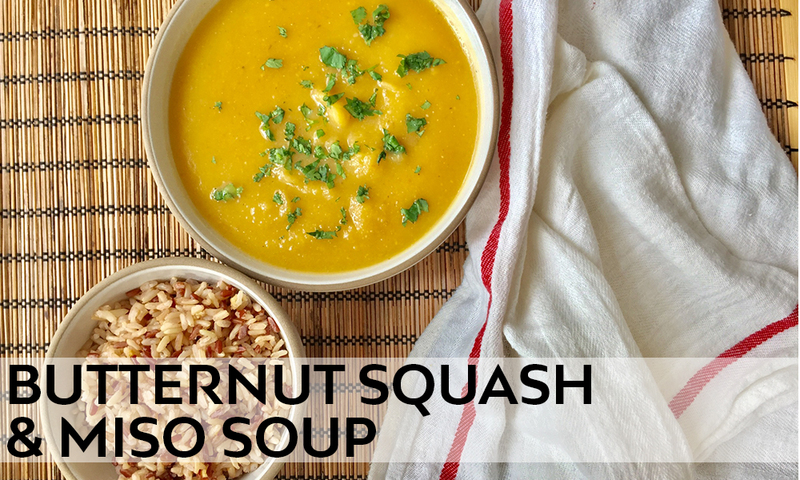 Soup is so easy for the body to digest and to assimilate nutrients. Drink a large glass of water with the juice of one fresh lemon daily, first thing in the morning. This will kick start your digestion, detox your liver and give you glowing skin. Get one hour of movement in daily – we suggest walking, yoga, pilates or something gentle while you’re treating yourself gentle. Drink turmeric tea every night. This highly anti-inflammatory tea will be like a hug for your insides. Peel the bananas and mash with a large fork. In a separate bowl, whip the eggs with electric beaters or a whisk, then add in the mashed bananas and mix well. 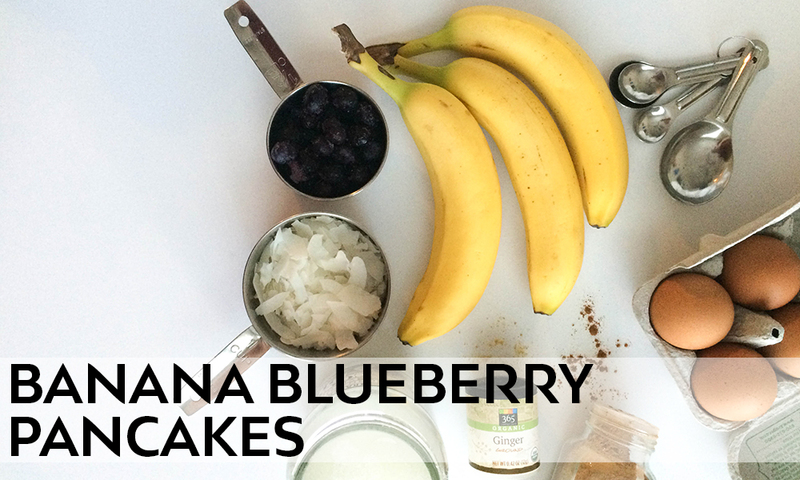 Add in the shredded coconut, ½ cup of blueberries, ginger and cinnamon and stir well to combine. In a frying pan heat coconut oil over medium heat. Pour small scoop into the pan and fry 2-3 at a time. Cook each side until golden, and serve blueberries, sprinkle of cinnamon or other favorite PN friendly garnish. Blend greens, ginger and non-dairy milk until well blended. 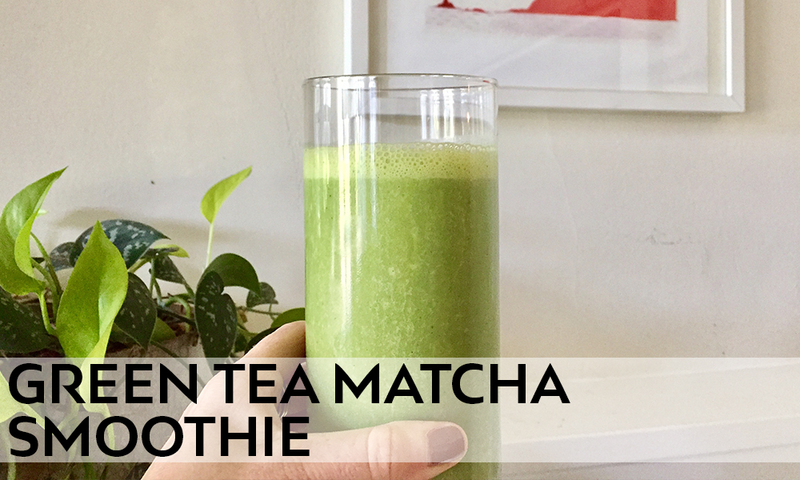 Add the matcha, frozen banana (+ a handful or ice if not frozen), lemon juice and blend until smooth. Add the avocado and blend until just combined, you don’t want to over-blend avocado as it will become too thick! 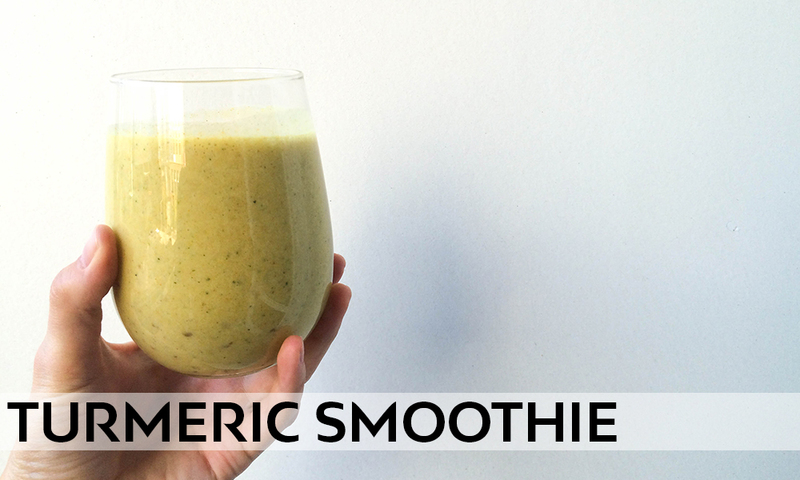 Blend the zucchini, banana, and non-dairy milk until well blended. Add the date, turmeric, coconut oil and cinnamon and blend until smooth. 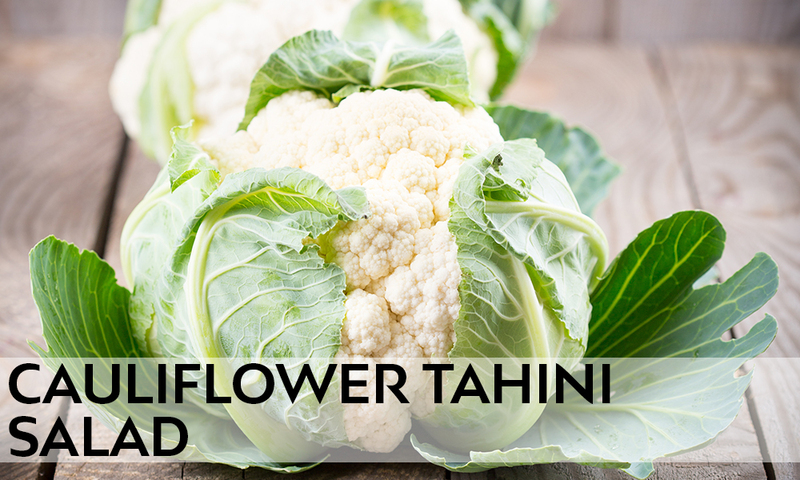 Make the dressing by blending the tahini, cumin, garlic, lemon juice, water, pepper and salt in a blender or food processor. Season to taste with salt, pepper or cumin. Set aside. Add the cucumbers, cauliflower, green onion, chickpeas, mushrooms, radishes, jalapeno, pine nuts, and parsley and let stand for 15 minutes. Give a good stir and let the salad sit a bit longer. This will be a dressing drenched salad! Transfer to a dish and eat as is, or serve on top of a bed of arugula or quinoa. Make it your own! Adapted from a favorite blogger of ours, 101 Cookbooks. Add coconut oil to a medium skillet over medium-high heat. Once heated through, add the tempeh and stir well to coat in oil. Cook until tempeh is lightly browned all over. Add the pepitas and cook for 2 additional minutes, stirring frequently. Turn off heat and set aside. Place a large pan over medium-high heat and scoop a large spoonful of the coconut cream (from the top of the can) into the pan. Once hot, add in the garlic, onion, jalapeno, cumin and salt. Sauté for 5 minutes or until the onions soften. Add the remaining coconut milk (scrape out all the good stuff! ), water and bring to a simmer. Add in the broccoli and spinach and cook for another 5 minutes. Remove the soup from the heat and puree with an immersion blender (or if you don’t have one do in batches in a regular blender or food processor). If the soup is too thick, add additional water. Add salt to taste as needed. Serve sprinkled with tempeh, pepitas and green onions. Pre-heat the oven to 425 F. Line a baking sheet with parchment (optional), drizzle with olive oil and place the squash flesh side down. Roast the squash for 25-30 minutes, or until tender. Remove, let cool, then scoop the flesh from the skin. Heat the ghee or coconut oil in a large pot medium heat. Add the onions and saute for about 10 minutes – you want them to get slightly brown. Add the ginger, garlic and red pepper flakes and cook for an additional 2 minutes (be careful not to burn the garlic). Add the apple cider vinegar and cook for one additional minute, stirring frequently. Add the squash to the pan and stir well. Pour in water, miso, salt and stir to combine. Over medium-low heat, bring just to a simmer and cook for about 10-15 minutes. Remove the soup from the heat and puree with an immersion blender (or if you don’t have one do in batches in a regular blender or food processor). If you want a thinner consistency add more water and blend again. Season to taste with pepper and additional salt as needed. Serve in bowls with spoonfuls of brown rice, garnished with cilantro and enjoy! Add the coconut oil to a large frying pan and place over medium heat. Add the ginger and garlic and cook for about 30 seconds until fragrant – be careful not to burn. Add the sesame oil and the chicken to the pan, trying not to overlap. Let the chicken sit and brown for about a minute on each side. 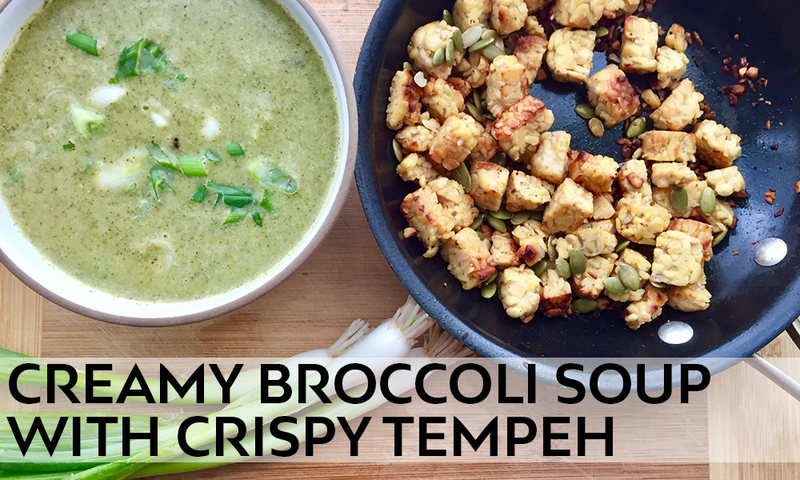 Add the broccoli, sugar snap peas, tamari and chicken broth, reduce to a medium-low heat and let simmer for about 10-12 minutes or until the chicken is cooked all the way through. Using a slotted spoon, remove the chicken and set aside on a plate, leaving the juices in the pan. Add the sesame seeds to the liquid and cook for another minute. Spoon the sauce over the chicken and broccoli and garnish with scallions and more sesame seeds as desired. Serve over your favorite whole grain, bed or greens or simply plated on it’s own.